Boats and Bedzzz Houseboat Stays is located on the picturesque River Murray, only a 5 minute riverfront stroll from the Renmark township in the Riverland of South Australia. Offering 2 well appointed houseboats, "The Murray Dream" operates as moored accommodation and "Moving Waters" operates as a Hire/Drive houseboat but is also available for moored accommodation. 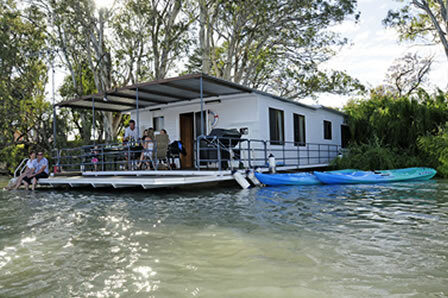 Moving Waters is available for Hire/Drive or moored accommodation at Renmark. A well appointed boat that is designed for easy operation. 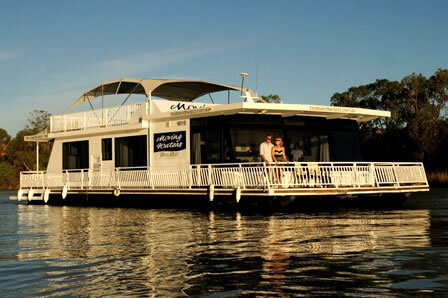 The Murray Dream houseboat offers unique moored accommodation, allowing you to enjoy the river lifestyle without the need to drive the boat anywhere. we have easter 2019 availability in our villa with pool! Easter is in the middle of the april school holidays, making it a perfect time to get away on holidays!